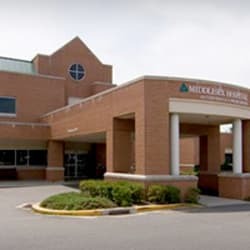 The Middlesex Health Cancer Center is one of Connecticut's premier locations for cancer care. Our expert team of physicians, nurses, and supportive care providers uses the most advanced technology to provide evidence-based and compassionate care for the whole person - body, mind, and spirit. In addition, our collaboration with the Mayo Clinic brings the best cancer care closer to home and provides our patients with access to some of the top cancer specialists in the world. For more information, please visit our website or call us at 860-358-2000. A cancer diagnosis presents many choices — and one of the most important is about where to receive treatment and supportive care. At Middlesex Health, we offer comprehensive services for screening, diagnosis, treatment, and survivorship.